Goc Ha Noi in Ho Chi Minh City is a cafe that really stands out from the crowd. Located at the end of a little alleyway, stepping into this cozy Vietnamese tea room and coffee shop is like travelling back in time. 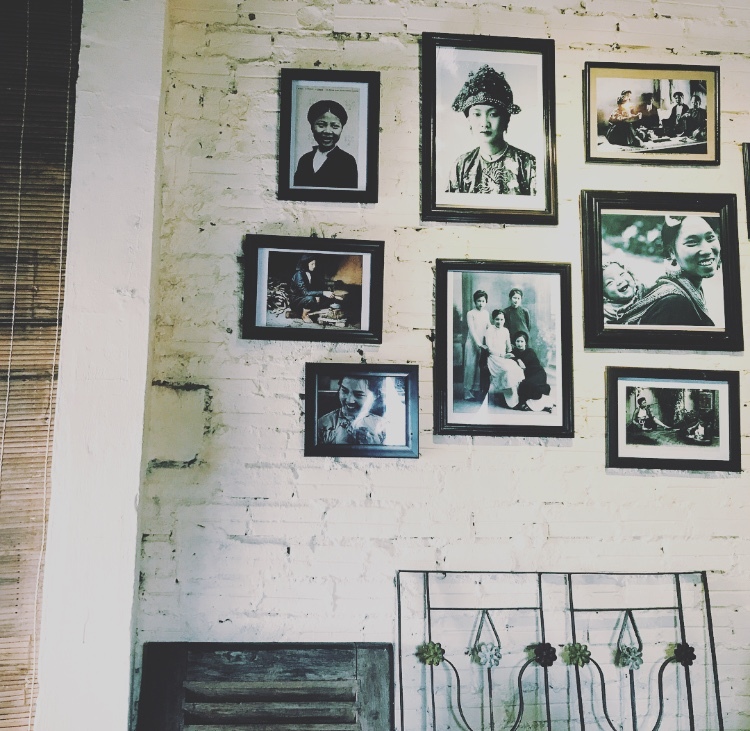 Everything here is happily stuck in the past from the old photos on the wall, to the furnishings and the traditional tea and coffee menu. It’s like visiting your grandmother’s house, only Vietnamese style. The cafe is located at the end of an alleyway in the tourist centre of Ho Chi Minh city at 165/3 Bui Vien Street, Pham Ngu Lao Ward. Goc Ha Noi’s decor is old-fashioned Vietnamese style. The staff are absolutely lovely and the cafe has a really relaxed, low-key vibe making it feel really homely. Everything is a little mismatched from the black and white photos on the wall to the bookshelves and all of the little seating areas. It’s surprisingly spacious inside and packs quite a few seats in making it the ideal place to spend an afternoon. If you’re after a traditional Vietnamese egg coffee (which is so much nicer than it sounds) then this cafe is the place to get it, however they have lots of other drinks too like Vietnamese milk coffee and teas. You can also get pho soup there and surprisingly, a lot of things on toast. I went for the iced jasmine tea set which came with a selection of traditional Vietnamese cakes including a really tasty little bean cake, something the lovely woman who ran it told me she used to have at her grandmothers when she was younger but it had fallen out of popularity now. Prices in this cafe are very average for a place that’s aimed at tourists with drinks prices being around £1.30 for a coffee or 40,000 dong and food starting at 50,000/ £1.60.